The ARTBA Foundation supports an annual student video contest to promote the U.S. transportation design and construction industry. The Student Transportation Construction Industry Video Contest is aimed at helping students gain a better understanding of the importance of transportation infrastructure investment to the U.S. economy and quality of life, and to learn more about the industry and potential career opportunities. 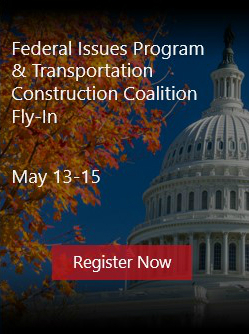 ARTBA’s Research & Education Division (RED) sponsors the contest and has two submission categories: general transportation impacts, trends and/or funding; and transportation safety. The contest is divided into two age groups: elementary, middle or high school students; and post-secondary, college and graduate students. Winners are selected in each age group, for a total of four first-place videos. Each winner receives a cash prize and winning entries may be shown during ARTBA’s annual National Convention. Watch more contest winners from 2017 and previous years at ARTBA’s Student Video Contest YouTube Channel.